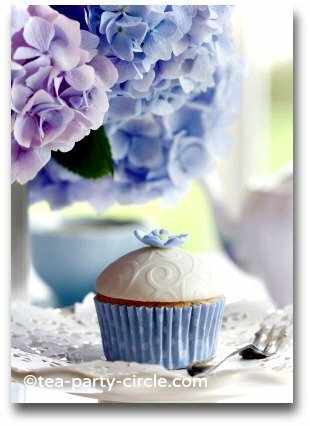 Are you planning on hosting a tea party and not sure where to start? Do the following questions have you confused? Well, lets have a little fun! - While reading the questions, give yourself a point for each answer you think you know and then at the end you will discover the average score my visitors give themselves. How do you invite your guests – mail, email, or phone? How many is a good number to invite? Should I ask for an RSVP? What is proper teatime etiquette? When is the best time to host your party? What about location? How formal really, is afternoon teatime and does it actually need to be in the afternoon? Do you seat your guests around a table, use trays, or perch on living room chairs? What food should you serve, and how much? Are you looking for menus and recipes? How do I create a lovely setting? Are decorations necessary and is playing games appropriate? What about party attire – in a quandary as what to wear? 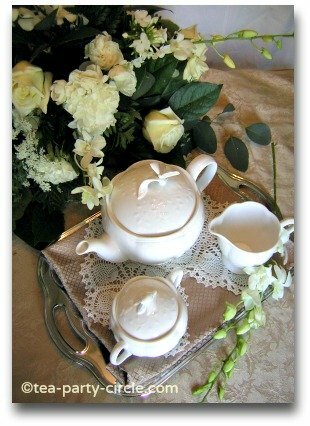 So, come, let's share our appreciation of the charm, beauty and serenity that teatime has to offer. You are formally invited to join our circle of tea party friends! Alice in Wonderland - Lots of fun ideas for this popular theme. Hosting a Tea - 5 Easy steps on how to host your own special affairs. Tea Types - What are the six main types and how do they differ? Mad Hatter -What exactly does one do for a mad theme? Tips and Ideas - Use these great party ideas for many occasions.